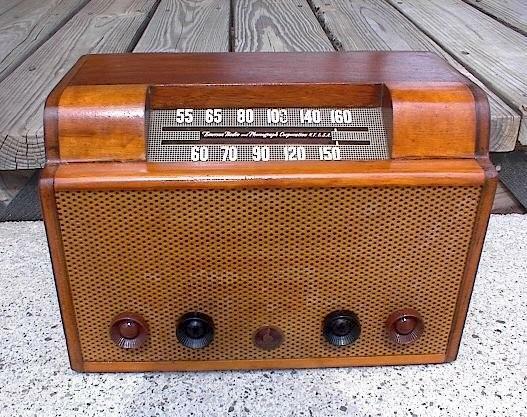 This is an awesome playing six tube AM radio that plays superbly like most Emersons do. The wood cabinet is in excellent shape and it has a wooden back as well. It was electronically restored when I bought it and I aligned it to play like new. A real good price for a great playing radio. You are visitor number 4,014 to this page.